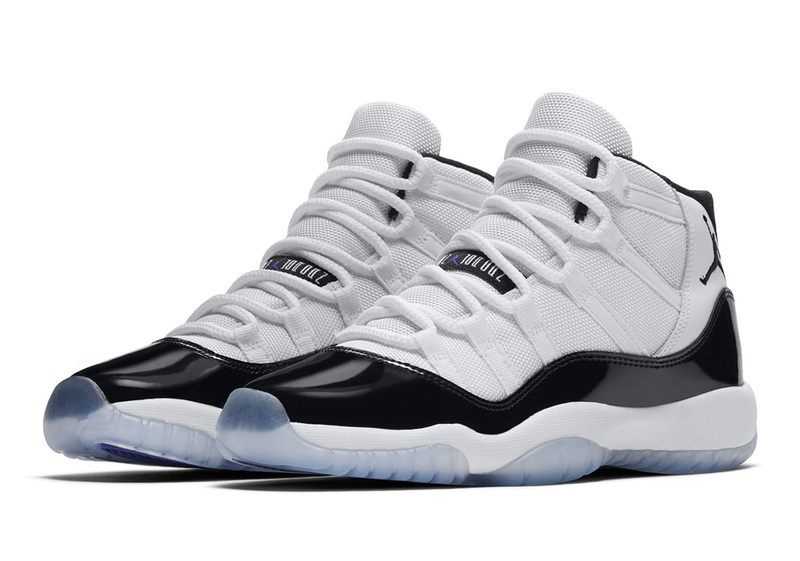 Next month, sneakerheads around the world will be gearing up for the release of the Air Jordan 11 “Concord”, one of, if not the most revered creations in the history of the industry. Serving as the first ever “tuxedo for your feet”, the luxurious combination of black patent leather and a white textile upper has been time-tested and inspired a bevy of other iterations in its footsteps. While older, more experienced consumers have had this release circled for months – even years – younger admirers of the Jumpman will be able to get in on the action as well with pairs set to arrive in GS sizes on the same December 8th release date. Sneak a peak at pictures of those GS-sized Jordan 11 Concords below and tell us how many pairs you plan to pick up on drop day.